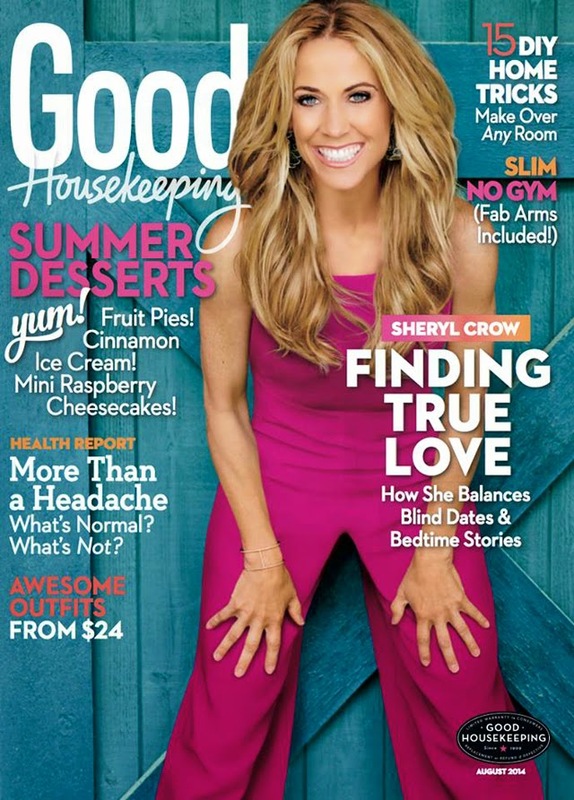 Sheryl Crow covers Good Housekeeping August 2014 and the lady is showing off some pretty impressive genes there - we're talking skin, people. Sure there's makeup, photoshopping and all the rest, but have you seen a pap picture of Crow lately? The woman must be keeping a zero gravity chamber for sleeping in her basement or something. It's remarkable. We think her secret might be the fact that she lives on a 50-acre ranch in Nashville (oh what a dream) where she is able to step away from the hustle and bustle of show business and relax with her family and animals. Crow, how about starting a writer in residence programme?